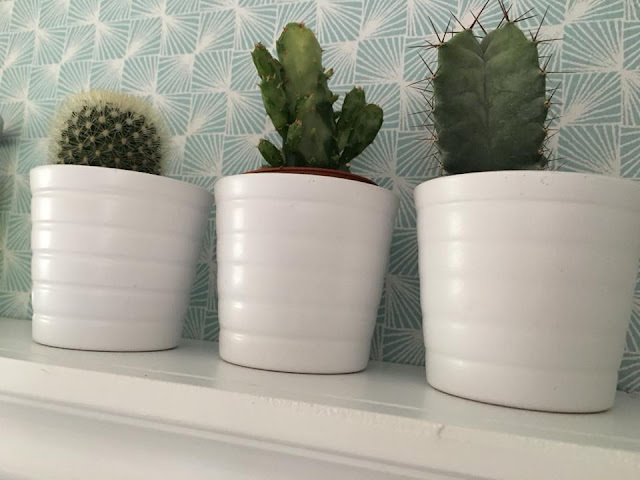 Inspired Wallpaper Review | Then there were three.. If I could have any job in the world it would be as an interior designer; there is nothing better than shopping for new homeware bits or to browse Pinterest for inspiration. When we bought our house back in February I couldn't wait to redecorate and put our own stamp on it. With the majority of the house now almost finished, I decided that I wanted to add something more to our dining room. The previous owners had added a huge feature forest wallpaper which wasn't to my taste at all. However, when we removed it we noticed that there were some parts of the wall underneath that weren't in the best condition and was obvious despite being painted over. Initially I wanted to wallpaper the entire room to detract from our ongoing grey theme throughout the house, but then decided that a feature wall would probably work out better. I was contacted by Inspired Wallpaper to see if I wanted to test out some of their new wallpaper from their geometric range; immediately I jumped at the chance as I am a huge geometric fan! After checking out their extensive collection, I opted for the Coloroll Stockholm Geometric Wallpaper in Blue; although I do think it comes off as more of a mint green rather than a blue. The reason I was drawn to this print was that it wasn't too obvious or bold, but still had a uniqueness to it. When the paper arrived my husband was delegated the job of putting it up - I was half expecting him to complain but luckily for me he was in the decorating mood. 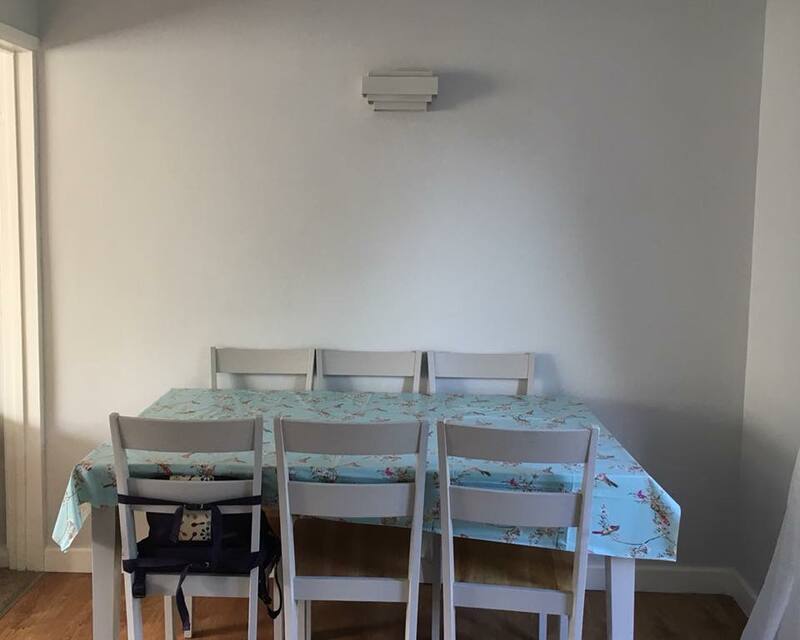 The wallpaper went up fairly easily, however my husband did comment on how thin it was once it was on the wall and how easily it tore when cutting it to size. This did result in him having to redo a couple of the sheets which we were slightly disappointed by. The main issue that all patterned wallpaper has is ensuring the pattern matches up across the wall. Whilst we managed to get the pattern to flow rather well, there did seem to be a couple of points where it was slightly misaligned due to the pattern itself. Although, I would never have noticed it if my husband hadn't pointed it out so I don't think that is much of a cause for concern at all. Once the wallpaper was up, I decided that it needed something added to it to make it stand out that bit more. We decided on four shelves either side of the wall light and some decorative pieces on them; as you can imagine, I loved this part and I found some lovely little items from Primark and Ikea. Overall I am in love with this wallpaper from Inspired; it really has given our dining room a new lease of life and everyone has commented about it's uniqueness when they have visited. I have also been browsing Inspired's website for more designs to use to decorate our hallway in the new year. *Disclaimer* I was sent this wallpaper from Inspired Wallpapers in exchange for an honest review. All thoughts and opinions are my own.